We are the market leader in HGV / LGV training at our Official DVSA Test Centre in West Thurrock in Essex (near Lakeside Shopping Centre), covering all of Essex, Kent and London. Our rigid & articulated vehicles are modern, full-sized trucks as these are the types you’ll drive in your new career. We have an extremely high pass rate and some of the friendliest and best qualified instructors in the country. Please browse this website for more details of the courses we offer, and contact us for more information, general advice or to book your course. 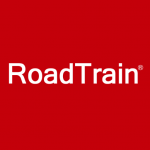 We are a DVSA driving test centre & customer testing site, which means all your training – up to and including your test – takes place right here at RoadTrain. Not sure if RoadTrain is right for you? Why not book a free, no obligation trial drive on our training area? You don’t even need a provisional licence! We are very proud of our record when it comes to HGV training success, but don’t just take our word for it – read what some former candidates have to say. Get a taste of what it’s like at RoadTrain by watching one of our short videos. Or better still, come and have a coffee with us and take a look around for yourself. Want to know more? We'll call you! RoadTrain works in partnership with Fx Recruitment to provide job opportunities for new drivers. © 2019 RoadTrain. All Rights Reserved.